Tried this deck, but faced nothing but aggro for 2 hours, got the quest done 2 times and died the turn after. This thing can highroll like you wouldn't believe. But I'm sure it also falls flat on its face more often than it highrolls. 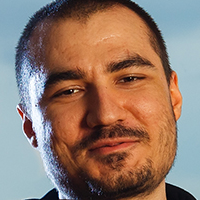 Kripp consider running Stonehill Defender since it can create a a High Priestess Jeklik Or is that to much of a dps loss? This deck should be fun to play, But do you know what would be really fun? You buy some packages in Artifact, that game is very fun for you, as long as you have a credit card that needs to be emptied.